The technical term for blood in dog urine is hematuria. And this is usually a sign that your dog has health issues. You should never ignore this symptom whether the blood loss is slight. Or if there are blood clots in dog urine. You may even see pure blood as if your dog is weeing blood. The normal colour of your dog’s urine is transparent yellow. It may be called straw yellow, clear yellow, pale gold, or amber by your vet. You can examine the urine colour in a clear container against a white background. You may notice a colour change to a pink or red shade. Or find blood stains around your home. 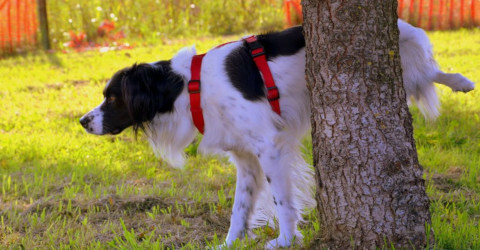 Your dog may need to urinate more often. And become incontinent – persistently licking and grooming in the groin area. Bear in mind there may not be any other symptoms at all. Drops of blood in the urine are often associated with problems in the lower urinary tract. Blood clots in the urine can indicate internal haemorrhage, or a serious infectious disease. Sticky and dark urine could be due to bruises and wounds. Bright red blood in dog urine can be a sign of cancer in an older dog. Puppies that urinate blood and vomit may be seriously infected with the canine parvovirus. This is potentially fatal if not treated quickly. The disease is highly contagious and is mostly seen in unvaccinated or immunosuppressed older dogs. If blood is present in the urine of a pregnant dog this may be due to the death of one of the foetuses. In this case, it will need to be surgically removed to avoid infection of the mother and other puppies. Take your dog’s vaccination history and any other medical records that you have. This will help the vet to form a complete picture and find the cause. 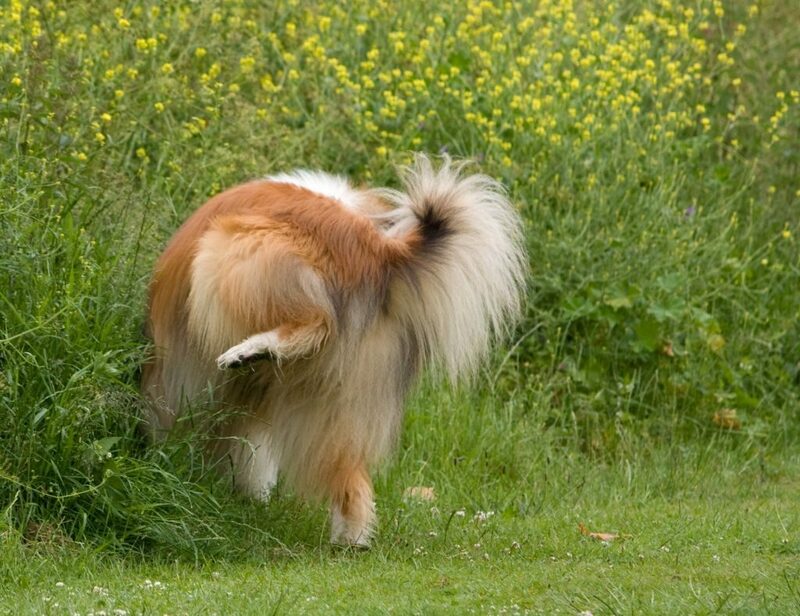 You may be asked to stop your dog from urinating before the visit as a few drops will be needed for collection. This urine will be tested for the presence of disease or drugs. And is known as urinalysis. 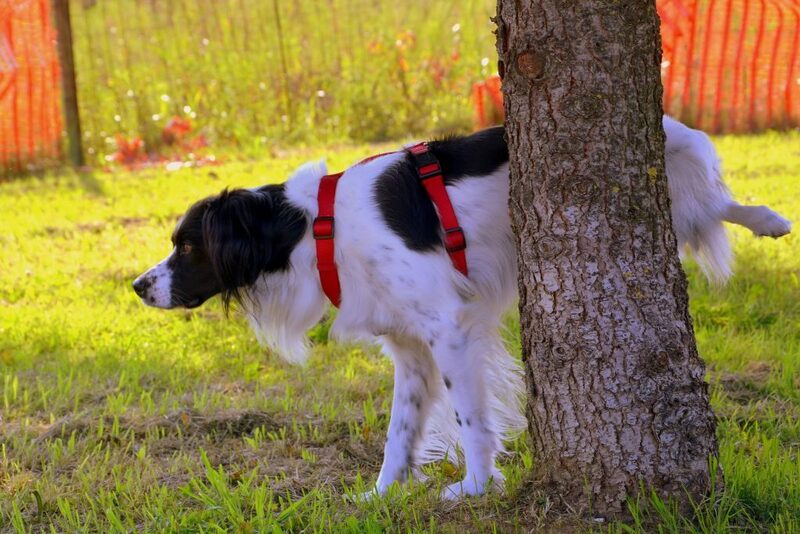 Dog urinating blood is taken very seriously by your vet. And tests will be carried out immediately. 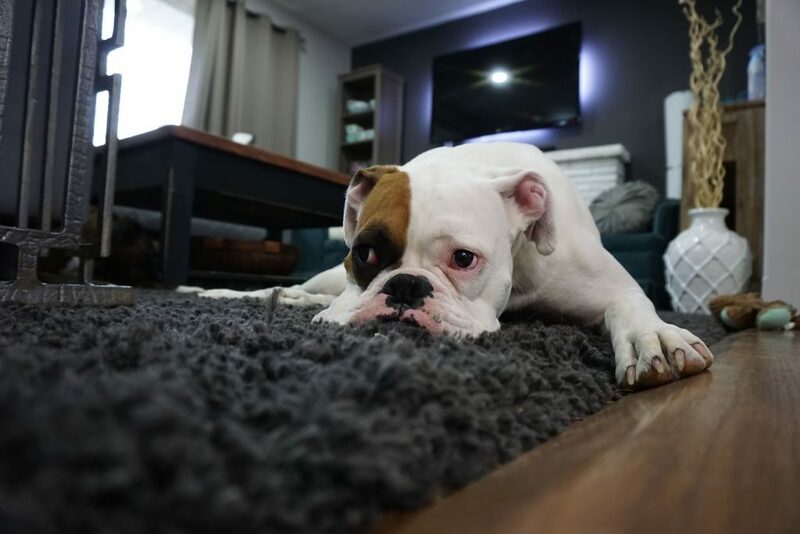 Following a physical examination – taking temperature, pulse, and respiration rates – your dog’s ears, eyes, mouth, heart and lungs will be evaluated. Screening will be carried out for kidney and liver disease, bacterial infections, diabetes and cancer. Ultrasounds will be used to determine any stones or masses in the bladder. Following the diagnosis treatment will begin to address the underlying cause. Your dog may need to be stabilised with intravenous fluids. If the blood loss has been great and the red blood cell count is very low your dog may need a blood transfusion. Antibiotics will be prescribed for kidney, bladder, and other infections. If injury is the cause the treatment will depend on the severity of the internal damage. As will the treatment of toxic ingestion. Phosphate binders may be given to encourage excretion of excess phosphorus from the body. Bladder and kidney stones can be treated through diet and increased hydration. But in severe cases non-surgical or surgical methods may need to be performed. Treatment of prostatic disease may be treated with aggressive antibiotics or neutering or spaying. Cysts and abscesses will be drained and surgically removed. Dogs diagnosed with tumours may be referred to an oncologist for more specialised treatments. 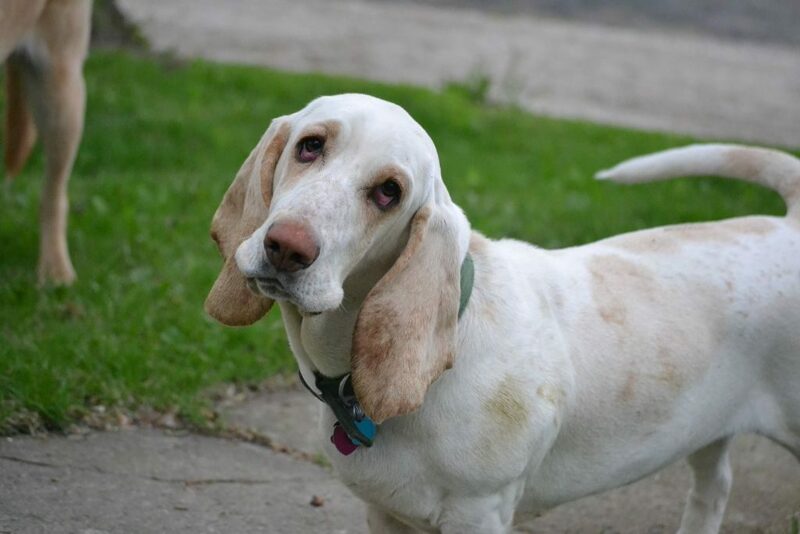 Dog euthanasia at home may be your kindest and final option. You’ll be able to call at any time of the day or night to make an appointment with a vet in your own home. And discuss the process and what happens exactly. The welfare of your dog will be the top priority. And you’ll be assured that the pre-sedation and anaesthetic agents used during the procedure will be gentle. And your dog will calmly drift into a peaceful sleep.